According to data published last week by the Bank of Spain, the value of all the 500 euro notes in circulation in Spain stood at 35,006 million euros in July, and is the lowest value registered since January 2005, when the number of notes in circulation amounted to a value of 35,169 million euros. Compared with July of 2014, the Bank’s data shows that the value of the 500 euro notes in circulation has fallen by 7.7%, as a year ago the figure stood at 37,948 million euros. Thus,El Economista reported that these high-denomination banknotes have now accumulated 37 consecutive months of declines. 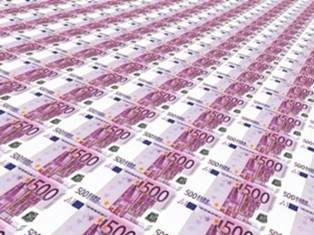 The July figure of 35,006 million euros corresponds to a total of 70 million notes of 500 euros, compared to the 76 million notes there were a year earlier. In Spain there are banknotes circulating which are worth a total of 43,753 million euros, which means that the 500 euro banknotes represent 80% of the total. BUSINESSWOMAN DEBBIE Whyman has no hesitation in recommending the services of foreign exchange specialist Moneycorp – she has been a client herself for 10 years and has no plans to change. A decade ago she took time to find a company that was transparent in the services it offered, honest and reliable. Moneycorp fitted the bill perfectly. Casaconnections was founded in 2004. Debbie does not compete with estate agents but works with them – she takes a client’s wish list to find them the perfect home or holiday property in Spain. She carefully listens to what a client wants and only shows them properties that are right for them – saving time, stress and money. "I have built my business up on honesty. Like Moneycorp, I am very transparent in the service I offer. If a property is not right for my clients, I tell them. My Reputation is worth more than selling a property that would not be right for them,” said Debbie. "Honesty is the best policy for a long term future. I have been doing this for 10 years and I get recommendations – most often my business is through recommendations. Debbie said the last six years had been difficult because of the recession, making foreign exchange an important service to maximise the value of money transfers. 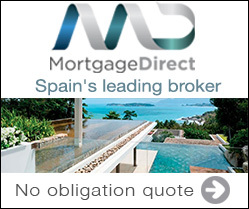 "Several of my clients have saved thousands of pounds by using Moneycorp’s services to save money on bank charges, and also by using Caja Murcia – who work closely with Moneycorp – and who only charge 100€ for a bankers draft when you go to the Notary,” she said. And she said the savings were a reality – unlike people who maintained their bank was offering to transfer funds "and keep rates low”.